For the first time in a very long time, Yao, his wife Ye Li, and his daughter Amy were photographed together in Houston at Saturday night’s Rockets-Mavericks game. 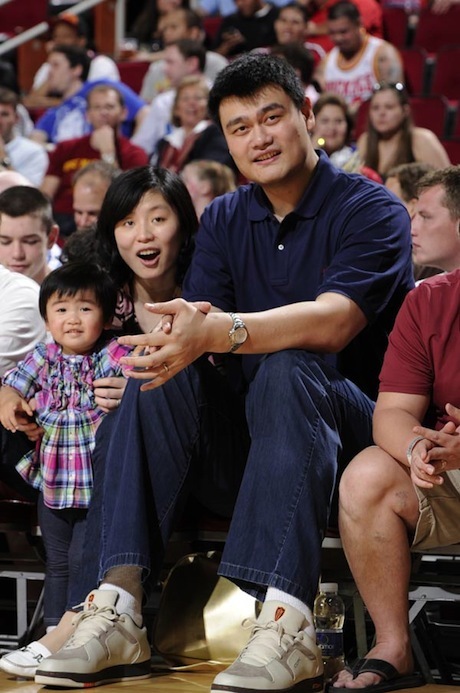 Click here for more photos of Yao and his family at the game. This entry was posted on Sunday, March 25th, 2012 at 1:48 pm	and is filed under Family & Marriage. You can follow any responses to this entry through the RSS 2.0 feed.